Chief Magistrate Emma Arbuthnot was listed to hear the case at Westminster Magistrates' Court today, with the 62-year-old embattled liquor baron exempt from attending. 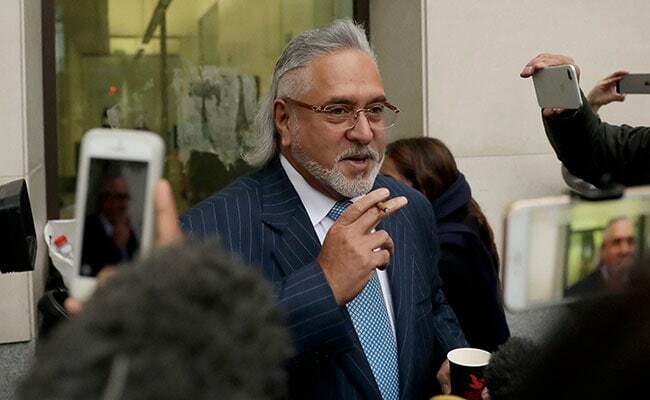 London: The next submissions hearing in the extradition trial of Vijay Mallya over alleged fraud and money laundering amounting to Rs 9,000 crores remains uncertain as the case was not discussed today in a London court due to differences among lawyers on a mutually convenient date. Judge Arbuthnot is set to rule on the issue once Mr Mallya's defence team completes its argument claiming "absence of a strong prima facie case" and the Crown Prosecution Service (CPS), arguing on behalf of the Indian government, responds in favour of the evidence. Meanwhile, Mr Mallya's bail on an extradition warrant has been extended until April 2. The next hearing is expected to also lead to a time-frame for closing arguments and verdict in the case, which seeks to establish that there are no bars to Mr Mallya being extradited to India to stand trial on the charges of fraud and money laundering. At the last hearing on January 11, Mr Mallya's barrister Clare Montgomery argued that evidence that was claimed as a "blueprint of dishonesty" by the CPS was in fact privileged conversation between Mr Mr Mallya and his lawyer about "legal advice in clear contemplation of litigation" and hence should be inadmissible. Dismissing the nature and source of these witness statements, Mr Mallya's defence claimed they do not meet "obligations" under the India-UK extradition treaty to provide "proper" statements. Mr Mallya was arrested by Scotland Yard on an extradition warrant in April 2017 and has been out on bail on a bond worth 650,000 pounds. Chief Magistrate Arbuthnot will present her ruling within a timeframe she sets out at the end of the trial. If she rules in favour of the Indian government, the UK home secretary will have two months to sign Mr Mallya's extradition order.